Henning Nelms was born in Baltimore in 1900. He taught dramatic Literature at Middlebury College and Pennsylvania State University, and conducted several theaters. He did several jobs, including the profession of lawyer, a family profession, since his father had also been (as a shepherd of the Episcopal Church); But he had also done the sailor, the editor, the accountant, the director of an advertising agency, the prestigious. With his true name he signed books about theater, drawing, and a handbook of illusion and prestige. Similar to Clayton Rawson, he wanted to try to write mystery novels in which he transfigured his illusionist knowledge, and with the pseudonym Hake Talbot he signed two great classics of the mystery: The Hangman’s Handyman (1942) and Rim of the Pit (1944); as well as two short stories: The Other Side (1940) and The High House (1948). There are dead people who are mistaken for living beings. In short, a bumpy entry! It begins with that “I came up here to make a dead man change his mind”, that expresses already a lot and already introduces one of the subjects of the work, the windigo, the evil spirit. In fact, in the phrase “ I came up here to make a dead man change his mind ” (expression recalled by Carr in his famous praise, which he formulated when Talbot’s novel came out in the types of Bentam: “From the first period: I came here to induce a A dead ghost comes back … or maybe he does not come back at all. A flying ghost drops apparently as he hits and goes to the attack. No angels, but demons and sorcerers seem to be dead. Dancing on the tip of this needle … The edge of the abyss is a magnificence “), the adverb” up “can be understood with reference to two things: referring to the place of the spiritual sitting, that is a cabin in the mountains , And / or referred to a place anyway higher than that in which it resides. Grimaud Désanat, if it is an evil spirit, he will dwell in hell. Moreover, his evil indole is also witnessed by the name Talbot furiously gives him: in fact, in Grimaud Désanat, the beginning of the word Grimaud, “Grim”, is the same as Grimorium (black magic book), and moreover the adjective “Grim” in English may mean “horrible”, “left”, “hateful”, “fierce”, “macabre”; while Désanat can be understood as a sciarada, formed by the union of two words: De and Sanat, then Satan’s anagram, Satan. So .. “Grimaud of Satan or Grimaud from Satan”. But … Grimaud is not quite a Talbotian name, but invented by Carr: it is the surname of that Charles that appears in Carr’s Hollow Man. Another connection with the great John? Rogan Kincaid is a gambler with a lively and adventurous life behind him, who suddenly, when needed, is a detective. Landlord of vast mountains, covered with trees, Grimaud Désanat is dead. Luke Latham, a wealthy sawmill owner, would like to convince Grimaud’s widow to sell the forests, but she is reluctant to do so, interpreting the will of her husband who has left them. But Latham does not deny and obsessively tries the widow, as long as she agrees to initiate a spiritual session, in which she will play the part of the medium, having specific powers. Some people will be attending the session, including Rogan, Latham, Ogden, Latham’s partner, and a Czechoslovakian magician, Svetozar Vok, who should unveil the tricks of the medium. The spiritual session begins, and at some point the voice of the medium changes, taking a different pitch from her and assuming a male timbre; then immediately after, happens the apparition of a malignant face suspended in the middle of the air, so malignant to horror the present: is Grimaud Désanat, who curses his wife for changing his wills. Immediately afterwards, in the horror of the onlookers, the spectrum vanishes seeking refuge at the top floor. Meanwhile, the widow-medium faints and if anyone had some pretense or a supposition that it was a trick, he must recur as there is no trace on fresh snow that can prove the existence that someone not known else has arrived in the meantime, not seen, in the cabin. Meanwhile, however, Vok reveals some of the tricks practiced by charlatans and fake mediums. At this point, the impossible happens: the medium is killed in her room by the windigo, the evil spirit in which Désanat has turned, and no trace is found on the snow covering the window sill. Subsequently, there will be a second murder, this time outside, without any traces found, and Ogden, Letham’s partner, will die. 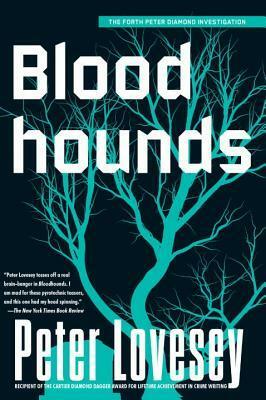 In the end Rogan Kincaid will solve the arcane, demonstrating the murder was not supernatural but human. 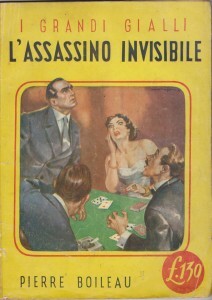 In America, the novel was originally published in paperback on the Pulp Magazine “Thrilling Mystery Novel” in the 40s, then in the Bantam Paperbacks in 1965 (as part of “The World’s Great Novels of Detection” series chosen by Anthony Boucher), and in the 80’s, always in paperback, by International Polygonics, Ltd. In recent times, also republished by Ramble House. Now, that Carr was convinced about the absolute goodness of the work, and with him those who embraced his argument, it is not in question; It may be to see if in fact the novel merited entirely the fame . I’m somewhat disappointed (I think it was understood) maybe because I had been excited by Talbot’s other novel, written before this. Of course I’m aware that I’m so against all the series of enthusiastic judgments that you can read here and there, but I do not care to be an out of line opinion. So ..
First of all, nothing can be said about the aspirations of this novel: it tries the difficult way of the nystery novel that goes hand in hand with the supernatural one, as J.D.Carr had already done with superb results in The Burning Court and Melville Davisson Post in several stories. In fact, in the intentions of Talbot, until the last, one should not be understood whether the crimes were committed by supernatural beings or in flesh and bone; and even this is widespread everywhere in all websites. I must say, in truth, that all that concerns illusionistic magic (phantom appearance, tricks, and anything else) is treated with mastery, and some peregrine thinking if and how the ghost may have appeared, peeps, I admit . And how the crime could have happened, given the restrictions imposed, typical of novels like this (intact snow, absence of footprints, etc.). So nothing to say about that. I disagree about the axiom for which the Talbot novel was written by taking as an example Carr. It does not seem to me that Rim of the Pit can only remember Carr: at the same level of novelists, it seems to me that much more of Talbot’s carriageway, for example Alan Green. In spite of some aspects that actually exist in the novel, Hake Talbot seems to me much closer to Clayton Rawson, as more than anything else tries to focus on the quality of the enigma: a novel I would ideally associate with this could be No Coffin for the Corpse by Clayton Rawson, in which there is an impossible disappearance and an equally emblematic appearance. And as I say this, it would seem to me that another novel that could have been taken, for example, could have been the Winslow & Quirk Into Thin Air, reviewed in this space some years ago. The fact is that it seems to me (where instead others don’t think this …) that this novel has an inadequate atmosphere: it is frosty, claustrophobic yes certainly like the environment in which it is placed (and some American critics rightly refer to The Plague Court Murders by Carter Dickson (also the one reviewed here), but it can not captivate in the manner we would think; this judgment I have compared to that of other friends who read it, and many among them think the same thing : it’s also a matter of style. In addition, and this in my opinion is a further limitation, if not even a wrong choice, Talbot inserted at the beginning of each chapter a quotation from magic books, treats, or anything else: this escamotage ends up removing any residue of supposed supernatural truth, since the continuous recurrence of something related to the atmosphere that one would like to create ends up to make sure that of supernatural there is nothing (the reader who buys the novel knows it is a human crime, but at least during the novel he would like to be carried on the wings of fantasy elsewhere; instead ..). In this he differs even from Rawson, who, as is well-known, has never been too much praised for the style of writing or for the atmosphere, but essentially for the quality of the puzzles he was able to create, being able to explain them In the best possible way, despite some of them, for example Death from a Top Hat are remembered like some of the most complicated puzzles ever conceived, often very close to pure illusionism. Then, if someone looks for other things, like locked rooms, and the same mechanisms used by Carr to mislead the reader (in The Hollow Man), here he is going to observe them. Only the judgment expressed by so many critics and novelists, that is, in their list of the best Locked Rooms overall, this novel by Talbot was the second after The Hollow Man by Carr , it seems to me a bit unbalanced (and heavily influenced, from the positive opinion, expressed by Carr). Questo articolo è stato pubblicato in Uncategorized il ottobre 30, 2017 da 282daniele. Born in 1895 in New York, Charles Daly King was educated at Newark Academy, Yale and Columbia University. 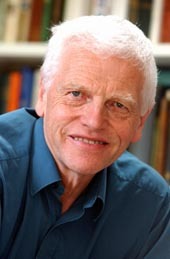 He graduated in psychology, and after having fought as an officer during the First World War, he became one of the biggest followers of Gurdjieff, interesting about the sleep and its components, since his thesis, publishing thick essays about psychology, including Beyond Behaviorism (1927) and The Psychology of Consciousness (1932). He was part of the group of AR Orage in New York and later headed the group in Orange in New Jersey. Besides the two texts quoted, he wrote a manuscript which circulated only in circles of fans, The Oragean Version. He died in Bermuda in 1963. From 1932, he wrote seven novels, six of which are published, which represent the legacy of vandinian mystery school, perhaps of more than the highest expression. Arrogant Alibi is characterized, like all the his other five novels (but we should say six, because you know for sure that Daly King finished a seventh novel whom he was waiting to be published after the Second World War, but that it was not more) from atmosphere heavy with suspicion, and a plot as usual complicated: here Michael Lord (police lieutenant), always accompanied by psychologist Rees Pons, is invited to Hartford, home of the rich Victoria Timothy wife of an Egyptologist (rather, predator of tombs) that has brought in America a large part of the things he had stolen in Egypt, constituting in a place, united to his home, a gifted museum. The name of this villa is Perkette. That evening there will be a reception, during which they provided the musical entertainment, and will be attended Grant Worcester friend of Lord (is he who invited him) and his wife Garde; Charmion Dannish, girlfriend of Dr. Earley, young protege of the rich widow, who will sing, and the same Earley who should play something; the lawyer Gilbert Russell, office of the widow; and two Egyptologists, Ebenezer Quincey and Elisha Springer. However in the mid-evening, during the interval, Charmion having a bit of sore throat and remembering that in the bathroom next to the bedroom of the home mistress, on the first floor, there is a tube of aspirin, went there. She takes the aspirin, also she makes some gargle, then hears something in the neighboring room, and then not going across the door through which she entered, but from another through which the bathroom communicates with the dressing room adjoining the bedroom, she goes here. A few minutes later, the Inspector Lord, downstairs, while the guests and his friend Pons are in the room where there will be a concert, hears the sound of a phone, but does not understand at first where it comes from; when he picks up the phone, he learns from Dr. Earley, left shortly before, called at the home of a patient who is very ill, that he would not return home to perform, because his patient is dead and he must also attend to bureaucratic chores: he pleases Lord to report the incident to the hostess excusing him. While he has laying the receiver, Lord is intrigued by a faint glow of light at the end of a corridor, where he knows that there are no lights, but while he is about to go and to see, first he hears a loud scream and then the same cry more attenuated, that comes from upstairs. Bouncing down the stairs, he hears a noise coming from the master bedroom, he enters, and he sees Charmion deathly pale that looking at a point she is going to faint. He supports her in time to see he too, a body lying on the floor near the bed: is the body of rich widow, with a dagger by the unusual shape, stuck in the throat, so that the handle baits parallel to the chin. Michael Lord, immediately sees a phone and tries to call the police, but the line is silent because someone cut the wires: you will find that the scissors used are those which come from the basket of embroidery work of the mistress, placed elsewhere. Lord, puts Charmion on the bed and, after making sure himself about the death of Victoria Timothy, goes downstairs to ask the butler, Rath, when the hostess was uphill. Also turns to his friend Grant Worcester, asking him to call the police because there was a murder, even if that on the front does not believe him. Meanwhile, the attention of Lord is again drawn to the dark corridor from which comes out a dim light: he goes there and understand that ithrough it that the museum is connected to the house. Gone into, he finds at a huge room, lit by a dim light, two men, Springer and Quincey, self-styled Egyptologists, who are discussing about the dating of something that attracts the attention of Lord: it is the same dagger that a few minutes ago was stuck in throat of widow Timothy. Why is there, more of everything clean? Presenting himself to two men and informing them about the death of the widow, Lord can know not only their names but also to understand that that dagger is the twin of the other used for the murder, and that both were in a showcase of the museum . When the three enter newly in the house, the cops are coming, under the command of Lieutenant Bergman of the police of Hartford. According to the times, the murder seems committed within about sixteen minutes, from 22:45 (time at which the hostess was seen rising, by the butler, who testifies) to 23.01 (the time of discovery of the body part Lord). Only that at this time all seem to be in a barrel of iron: the majority of the guests, including spouses Worcester, Dr. Pons, Russell, were at the hall where was the concert and were still there when it was given the news of the death of Victoria Timothy and nobody saw someone get away; the two Egyptologists were at the time of the cry, in their room of the museum to examine the other dagger, and, unless each covers the other, could not have been them (they also would never know about the existence of the telephone wire and the place where to find the scissors, or you? ); Dr. Earley was even out of the house and the phone call came from outside testifies it. So what? Who ever did kill her? At the hearing in front of the coroner, Lieutenant Bergman, gathered all the evidence, called Charmion and Lord to testify, rebuilt the discovery of the body, called Charmion later to explain why once finished gargle, she was not simply out of the bathroom to go down but had stretched the path entering the dressing room and from there into the chamber of the Mrs Timothy from which she would have to go out in the vestibule leading to the stairs, and not having been able to explain it, the head of the investigation incriminates as the killer, even in contrary to legal procedure of this. At this point, Michael Lord, Dr. Earley and others agree to try to save the girl. During the interrogation in front of Dr. Earley, that is the coroner in charge of defining the nature of the death of Mrs. Timothy, Grant Worcester, friend of Lord (is he who invited him to the party) accuses publicly such Kopstein, politician with disreputable friendships, to have made killing the woman, who opposed herself to his claims; and says he saw a man flee from the house. However, if these revelations are new , these are later denied by the revelation that no one came out of the house after Dr. Earley left: it is witnessed by a lot of persons. However Kopstein is another point to be clarified. As well we learn that the two alleged Egyptologists, old friends of husband of Mrs Timothy killed, were not actually getting together in the museum to date the dagger, as revealed to the investigators, but in turn they went to the toilet and then leaving the showcase with the two daggers into at the disposal of the other, as long as was not the Egyptologist who said he would have gone to the toilet, to kill the rich widow. In other words, if before the alibis were unassailable, now begin to see the stretch marks. For more, you find that Quincey had a serious reason to kill her: he had a bill due of two thousand five hundred dollars that he would have to pay to the old woman at the day after the murder of her. Dr. Earley calls on the phone and happily he says that after a series of tests, the position of Charmion has changed, because it has not disclosed any possible motive against her, as well as anyone, Bergman, had suggested that there could be. Other strange things happen, however: by the maps of the various floors of the house, used in the renovation of the same house, is torn that about the first floor, where was murdered the old Timothy, a maze of corridors, dark corners, and rooms without a link, which can be accessed not only through the main staircase for which rose Charmion and Lord, but also through a secondary staircase. New questions. Lord would re-query Quincey about the bill about which he didn’t speak, but he finds the door of the museum closed, boarded up from the inside and moreover he sees slide under the door some rivulets of a viscous liquid and dark red that is undoubtedly blood. He Shoots the door hinges, he manages to demolish it, without falling down to the poor Quincey lying on the ground, whom they find with the other twin dagger, stuck in the back: he, after to have mumbled words that are currently without sense, dies . The room was locked from the inside. Bystanders frisk it: there is no door or window that may have been used to escape and moreover the sarcophagi are all sealed by pieces of scotch old and yellowed. How did the stabber to eclipse, a few minutes before all persons arrived, without they had seen someone escape? After Lord will first deciphered the words murmured to his ear from dying Quincey, whom Springer will reveal to be a magic Egyptian formula: Quincey would murmured “sersew wah wah wah wah”, ie 6-1-1-1-1, because obsessed by the magic of Ser Wah, the murderer will be nailed in a spectacular final at which it will be clarified how a first crime was committed without no one could have done, and how could escape a murderer from a locked room, not before an unassailable alibi was shattered. Extraordinary novel of Daly King, Arrogant Alibi is one of the best novels of the ’30s: fantastic setting, in a spooky house, full of hiding places and dark corridors, blends puzzle mystery (here we have the triumph of Whodunit: also an impossible crime and a crime in a locked room ) with psychological mystery to grind an airtight alibi (with the triumph of Howdunit), creating a superb staging in which the suspects and the persons suspected appear and disappear, mysterious clues overlap (the phone cord severed, two similar daggers, the time clock in the electrical room of the died widow forward over twenty minutes compared with precise, the mysterious number 6-1-1-1-1), in which even the seedlings of various plans at which the tragedy consumes contain puzzles (the torn page with the map of the first floor of Perkette). The thinking behind the crushing of an airtight alibi, and the capture of an evil murderer, is very complicated, son worthy of all this literature that from Van Dine originated: the extremely complicated thinking behind the solution of puzzle at The Bishop Murder Case, by S.S. Van Dine; The Greek Coffin Mystery, by Ellery Queen; or also About the Murder of the Clergyman’s Mistress, by A. Abbot: it is as if Daly King had drawn from all other vandinian authors that before him had their debut as part of the novel, creating a super novel that had characteristics taken from various sources, but in the same time it was not a mere collage, but new original work that transcended its same original sources, creating and recreating all the problems of the enigma novel of the ’30s and bringing them to an unusual level of stylistic perfection. 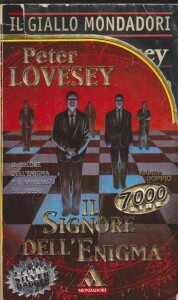 Moreover, it is obvious that it’s a vandinian novel: first Michael Lord is accompanied by his friend the psychologist Pons, and thus form a pair, at which one of the two elements is an institutional figure: Ellery is related to his father who is a police inspector, Philo Vance is related to Markham which is a District Attorney, Abbot is linked to Thatcher Colt who is a Commissioner of the Metropolitan Police. Daly King perhaps had as model for his Michael Lord, Lieutenant of Police, the character created by Abbot, Thatcher Colt. There is also here a trick that calls another vandinian famous, Ellery Queen, at least in his novels of the ’30), ie the dying message: what else is precisely Sersew Wah Wah Wah Wah? And yet vandinian is another feature: the Egyptian setting. In fact, since the early 1900s when many tombs were discovered and important excavations were undertaken in Egtitto until 1922, the year of the discovery of the tomb of Tut-Ank-Hammon, there are many novels that show locations of Egypt, from R. Austin Freeman (The Eye of Osiris, 1911) to Dermot Morrah (The Mummy Case Mystery, 1933), Agatha Christie (Death on the Nile, 1937 and Death Comes as the End, 1944). But, in the novels of the so-called vandinian school, they rise to a real distinctive character. In fact, from the novel by S.S. Van Dine, The Scarab Murder Case, 1929, all or most ,those who wanted to refer to Van Dine copying the elements of his narrative style, ended up creating a novel that had Egyptian setting or artifacts that were related to ancient Egypt or other exotic locations that could still arise from Van Dine: Ellery Queen (The Egyptian Cross Mystery, 1933); Rex Stout (Red Threads, 1939) in which the Egyptian setting becomes Indian setting ; Clyde B. Clason (The Man From Tibet, 1939) at which to the setting in Egypt is replaced a Tibetan setting; Richard Burke (Chinese Red, 1940) in which the exotic setting here becomes Chinese; and finally this novel Daly King. The same trick that the murderer uses to get away with it, brings us to the second novel by Van Dine The Canary Murder Case, not because it is the same instrument, but because on an instrument of common use, ingeniously, the murderer builds his foreignness to the realization of the crime. Finally the Locked Room: when the room is more closed than ever, and cannot be a suicide, and there was not something that has moved the time of the assassination, and there are not conditions such that the murderer could confuse himself with who had gone into the room, because it was dark or smoke, and there are not other outputs, the solution is only one: there’s some form of output… masked . This masked output then is found, but it is kept locked on the other side, by a nail whose head is rusty which leads to think that output has not been used for a long time. So what? A new twist will change this solution into another. But the guilty will flee, only he will not escape a terrible death, that will re-lead us to a previous novel by S.S. Van Dine, The Greene Murder Case. 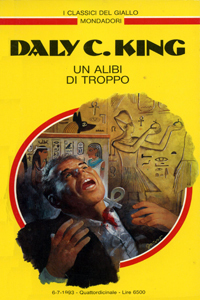 After writing this article in Italian, I did read it to my friend Mauro Boncompagni and I asked him why the only cover of this novel, which is visible on the network (Collins Crime Club, 1938) was too explicit, revealing a lot of the novel. He told me that my remarks on the english cover of the novel by King were just, but also told me something I did not know: it seems that before me one of the greatest unrecognized and reviewers of mystery novels , Torquemada, in a review of the book, in fact, appeared in the Observer in 1938, had made the same my remarks. He also told me that he was a great admirer of Carr (Mauro told me that, because we are both fans of John Dickson Carr), as well as a refined man of culture and translator (with his real name Edward Powys Mathers) and compiler crosswords, past to history (under the pseudonym Torquemada). It seems that Colin Dexter has recently reminded him. Questo articolo è stato pubblicato in Uncategorized il novembre 7, 2015 da 282daniele. His name was Leo Wollemborg Junior, and was the son of Leo Wollemborg, a rich German-born italian economist who had been Minister of Finance of the Government Zanardelli in 1901 and senator for life in 1914, and Alina Regina Fano, sister of the mathematician Gino Fano. He was born in Loreggia, in the province of Padua (but according to some sources, including international arbitration between the US and Italy, it seems that it could be born in Rome) in 1912, and in Padua he followed the studies, enrolling at the university and later becoming a journalist . In 1932 he wrote the novel Elena. 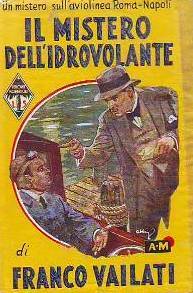 A few years later he published his unique detective novel, the most beautiful italian locked room of ’30s, that Mondadori published in I Libri Gialli in 1935, entitled Il mistero dell’idrovolante (The Mystery of the Seaplane): for the occasion Wollemborg Leo J. used the pseudonym of Franco Vailati. Repaired in America in 1939, after the promulgation of racial laws in Italy, as jew, then he became a US citizen before and an American soldier after (he fought in World War II), he returned to Italy in the 50s, as a correspondent in Washington Post, dealing with Common Foreign and collaborating with Italian newspapers. He died in 2000 in New York. The “Columbia University” has instituted in his name a scholarship. He wrote essays, including Stars, Stripes And Italian Tricolor: The United States And Italy, 1946-1989. The Mystery of the Seaplane, is a complex Locked Room that pays tribute to the deductive novel in vogue in the ’30s. The Dornier WAL-134 is the largest of the latest generation of moored seaplanes at the mouth of the Tiber, Ostia, and ” for breadth, comfort and technical perfection, could really rival the best models in service on lines foreign” (page 7 ): it is used on sea-Ostia Palermo, to bring 15 people on board (twelve passengers, two pilots and a mechanic who may require interventions of necessity and emergency). On the 12th of July, WAL-134 is about to leave from Hydroport, when a man comes out of breath: he is the Rag. Larini. (1). He must arrive at very short time to target to treat a very important deal for the bank whose he employs, the Metropolitan Bank, but there is no place on the aircraft, as is often repeated by employees. Therefore he corrupts the mechanic on duty on DO -WAL 134, with a large sum, and he is agree to give him a seat in the cabin, on the side of the two pilots, while he will make the journey in the luggage room. The hydroplane is about to take flight but misses the last passenger who arrives out of breath:he is the banker Agliati, a guy with a mustache and a beautiful belly. He takes place in the aircraft and this leaves. Unremarkable: the passengers are beginning to take note, at least some of them. On board there is also a journalist Giorgio Vallesi, who is on the airplane to write on behalf of his newspaper, an article by color right on the crossing of this airplane, the pride of Italy. Subject of his looks interested is the beautiful Marcella Arteni, which seems to correspond; and then there is a strange lady who attracts his looks, such Vanna Sandrelli, for the fact that while elegantly dressed in red, she is carrying a bag strangely colored green, which conflicts greatly with the dress of Ventura: she’s strangely nervous. The other passengers are a couple, Mr and Mrs Martelli; Three Merchants country: Marchetti, Sabelli and Bertieri; three people of rank political: a big piece of the Foreign Ministry and his two secretaries. One of the merchants, Sabelli, gets up and goes to the bathroom: it is a small room of one square meter of width and one meter seventy tall, a hole in substance, with a toilet, and has a small window on the ceiling to ventilate . After him, gets up Vallesi taking a walk up to the cockpit, separated by a glass door, and returned to his fellow travelers, he announces that on board there is an almost clandestine, the Rag. Larini, who travels with the two pilots, having bribed the mechanic, who is now in the trunk, for cede his place behind the two pilots, and adds jokingly that is quite fat, and his weight could affect the tonnage of plane. All do not notice: only the banker Agliati, which is also fat he looks worried: he gets up and goes to the bathroom. After a while ‘is seen out of the luggage compartment a man in overalls, the mechanic, who goes into the cockpit and soon returns carrying a bundle. Meanwhile, the other merchant Marchetti goes to the bathroom: he wait, then go back; then again, turning to his companions until he blurts out that the banker will be closed in the bathroom and did not come out despite having spent half an hour. Concerned Vallesi knocks but nobody answers, he tries to open the door but it is closed, and so should they tell the commander, who decides at the scheduled stopover in Naples, trying to bring help to the banker: but what is the surprise of all when, smashed the door, which happens to be locked from the inside by a bolt, found the room completely empty: where is the banker Agliati? Evaporated in the sky through the window, or pushed down into the clouds through the flush? And whatever it was his goal, his disappearance was due to what? A suicide, misfortune or murder? At hydroport of Beverello, near Naples, to take care of the investigation is the Commissioner Boldrin, who doesn’t “hollow a spider from hole”: at the space and at what it seems, there are no hidden openings, and the only way out seems to be the window; however, the impossibility of the situation is the fact that the banker was rather fat and would never have passed through a window as small as that. So? Boldrin doesn’t know how to get. His rescue comes the Vice-Questor Renzi, the Central Police Headquarters in Rome, the grandson of a big shot of the Ministry of the Interior: Renzi, read the news in a newspaper in Rome, asking to be sent to Naples as an observer, as are all Roman the passengers, and the seaplane is left from Rome; also it has read that among the passengers there is an old friend, the journalist Vallesi, companion sprees many years before. The investigations are extremely complex: Boldrin eliminated as causes both the misfortune, the suicide, for the manifest impossibility that a fat as Agliati was able to pull himself out of a window much smaller than his circumference, or it could slip away, so more that the plane has not been overturned in flight and therefore would not be able to slip through the small opening in the roof. However, the only remaining possibility is inherently impossible to turn, because if he had been killed, at least one other person there should have been in that tiny bathroom, which is absolutely impossible to have happened given the lack of space for to retreat. With Renzi, however, the investigation while not shedding light on the disappearance impossible, allow, through the interrogation of texts, to establish that: Mrs. Vanna Sandrelli, the lady in red, has provided false information; two of the three merchants, Sabelli and Marchetti, grain traders, knew each other, while the third, Bertieri is actually Pagelli, an old acquaintance of the police, and he’s not a trader but an envoy of the Bank of Italy and Argentina, which must conclude a particular deal in Tunis. Moreover Commissioner Boldrin makes a discovery: frisking passenger baggage, he realizes that in one of the suitcases of Sabelli, there’s on internal liner a sequence of numbers: it would seem a code, but then it is assumed (and is confirmed by subsequent investigations) that are multiple telephon numbers placed next to each other. While not seeming to have connection with the rest of the events, trying to give a paternity to those numbers and that’s one of the sequences strangely it leads to one of the Deputy Directors of the Bank of Italy and Argentina. While you’re trying to deal with them, another criminal act disturbs public opinion: Marchetti that would have met with his friend Sabelli at Naples station to continue to Palermo (which would make other passengers of the seaplane, blocked for investigation in Naples) can not find it and then instructed previously, having the Sabelli bags, put them in the place of his friend, waiting the friend on the train to turn up. But by Sabelli no trace, until someone does not open them in the presence of Marchetti and in one of them they find in the midst of sawdust, the arms and Marchetti’s head. Marchetti is put in custody for murder, but did not know anything, so he says; and in the meantime, a few hours later it is discovered another couple of cases, the same as those of Sabelli in police custody, on the train Naples-Brindisi, in which are found the trunk, and the legs of Sabelli. Has Sabelli’s death connection with Agliati’s death, always he’s dead? Another strange thing happens: in Italy Corso, in Rome, an office was ransacked, but the strange thing is that nothing is missing. Renzi for a case is asked to deal with it, and in a room closed from the inside, finds the crates full of sawdust, while in another, Renzi locates next to a phone, a number that fits with the string of numbers found in suitcase of Sabelli, while have gone missing all the towels in the bathroom. Renzi assumes that is the place where Sabelli was killed and dismembered. Subsequent investigation will allow him to reconstruct the sequence of events that runs all around the Bank of Italy and Argentina, and relations with the banker Agliati, not before someone had tried to kill the wife and the daughter fourteeen of Agliati, near Villa Borghese. Giorgio Vallesi offers his own solution to the mystery of the disappearance of Agliati: he was not really fat but only he would pretend to be it: but how? Once entered at the toilet, having got rid of the fake belly sending it flying away, through the window, he would be hoisted and walking on the outer fuselage seaplane (hypothesis mad) would be hacked in the luggage room, through the outer door which can be opened even by external; in there, he would have bought the silence of the mechanic, who would come out and returned with a package, which according to the Vallesi could have been a mechanic’s overalls; in that mechanic’s overalls, while the others were intent on knocking the door, he would come out from the plane. However, the solution of Vallesi has some obvious flaws: the Beverello pier was super guarded by police and no one among those present had come from the seaplane; is also confirmed by the testimony of the pilots, the mechanic had brought nothing with him in the store that a package, and it contained not a mechanic’s overalls but a loaf of bread, and fruit, as evidenced by the peach pits found in the luggage storage. Starting from assumption by Vallesi, saving what he feels interesting and rejecting the rest, Renzi will be able to solve the mystery of the closed toilet, to find the true identity of Agliati, with a past of profiteer and swindler, to rebuild that of another his former become an important figure of finance, who feared the revelations of his former friend, and to arrest him, with other fellow gang members, in a field where they were hiding a coffin containing the corpse of the banker Agliati. Lively Italian mystery, The Mystery of the Seaplane, is a tribute to the whodunit of 30s. Complex and also difficult in certain passages, for example that relating to reasoning about the two pairs of bags containing the human remains of Sabelli, according to which is discharged the most likely of the killers, Marchetti, who for more admitted that the suitcase containing the head was in his possession, the novel in my opinion, however, has two major flaws: no atmosphere and the murderer is not one of the passengers, that’s the actors in the drama. It would have been a good novel, if it possessed an atmosphere, and instead seems to be rather a news story, unvarnished, a mere exercise in general, a divertissement, and as such it should be seen, with some rhythm and even suspence, and somehow carefree and light. Probably because it is a tribute to the fashion of whodunnit, without the author felt transport or passion about it, or perhaps the need, where the predominant part is performed by deductive reasoning that is so cold but also virtuoso in his ruminations and hypothesis. The author was a journalist, and the novel seems at times something more than a chronicle: what it lacks is the inspiration of the novelist who can, through their own innate vein or through the tricks of style, to create an atmosphere in which the player is bound. That is not here. On this level, the novel loses the competition with the more dysfunctional among the De Angelis novels (if it exists) or with Alessandro Varaldo that, with all the “if” and “but”, was a writer by trade and not a journalist lent to the narrative. However, we said, another flaw, in my opinion is the fact that the murderer is not one of the passengers: I do not think I can say Wollemborg could have read Obelists Fly High by Daly King or vice versa ( and this would have been possible if the American author had known the Italian language), because both novels are of 1935, and the first edition of the masterpiece of Daly King appeared in Italian, in 1938. And same thing can not be said by Wollemborg / Vailati about the novel Death in the Clouds by Agatha Christie, because this work appeared in the same year; if anything, we could reflect about the fact that three works of a crime in the sky, appeared in the same year, 1935. But, as in the novels by King and Christie, the guilty should be sought among one of the passengers, in the novel by Vailati is not so: and then how was killed and transported away Agliati? Here, this is the pivot of the argument, which is in my view a real gem. And having imagined what the killer had used to simulate a belly that could be functional, idea that comes at a children’s articles And he imagined what he had used the murderess to simulate a belly that could be functional idea that comes at a toy store and children’s articles. Once again I must, however, think that the most beautiful locked rooms, at least the most spectacular, are the rooms that do not come by coincidence or by an unexpected or action only from the killer, but a sham operated with the aid more or less cooperative if not complicity of one or more persons, creating a true optical illusion. From this point of view, the novel by Wollemborg / Vailati I can say it would be the envy of Christianna Brand, author of Tour de Force, novel a few years later, that resorts he same kind of staging. And more specifically, concerning the technique of impossible crime, it would envy to John Dickson Carr, author of The Crooked Hinge. In fact with Dickson Carr, Wollemborg/Vailati shares a trick that is present with the same values in the two novels: in The Crooked Hinge, Carr uses something that would stretch the height of a person at will, in the novel by Vailati is instead something that can increase or less the abdominal circumference of a person at will. Two different things, but the same is the purpose: to cheat the present person and the reader. I do not know if Carr had read the novel by Vailati, but if it happened he would have to read it in Italian and I do not think he knew my language, so as to be able to read an entire book. What is certain is that Carr’s novel was published in 1938 while that by Vailati is from 1935. Questo articolo è stato pubblicato in Uncategorized il novembre 2, 2015 da 282daniele. 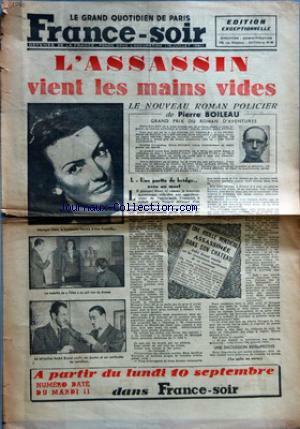 Pierre Boileau, before he met Thomas Narcejac, wrote eight novels that gave him fame, and among them, too, “L’ ASSASSIN VIENT LES MAINS VIDES” (1945).Like other novels of Boileau, this begins without an introduction: Brunel and his companion, Pierre, who narrates the story, as usual, on the street, are almost run over by a former comrade of Pierre who then greets them warmly and invited them to best coffee on the Champs Elysees, where he will make know to the two cousin, Alex Fontaille. He, grandson of a landowner, Apolline Fontaille, who has grown up as a child, joined romantically with a note dancer of Parisian nightclubs, Monique Clerc. From the first moment, he doesn’t prove to be serene and yet insists that the two friends of his cousin, go with him to the estate of her aunt, Les Chaumes. While they are in Paris, Brunel realizes that someone is keeping an eye on, and later recognize in this the personal home of the old Apollo, Simon. The old, newly arrived, mistreats the other nephew, Georges, guilty of not having visited her in recent times, and welcomes newcomers with a lot of fuss. Had the rooms, after dinner, Brunel, Pierre, Alex and his girlfriend, they decide to play bridge, after they smoked and drank, while Georges walks around outside in the garden. The old asks Alex to go to make an inspection and to close everything, that Alex does, and then returns by fellow: but while they are playing, they hear the loud voice, coming from the first floor, the room of the old: find her stabbed, in a pool of blood. While Alex is to watch over the corpse of her aunt, Brunel and Pierre share the tasks: each goes up and other goes down. Pierre determines that if anyone had entered from the out in the house, he would be in front of Gustave, who was putting in place the crockery and cutlery used for dinner, so the murderer may be gone just above the second floor, where there are none. From the second floor, dropped only Simon, the domestic staff of Apolline Fontaille, trustworthy, with bare feet in slippers and robe bedroom tucked haphazardly in the pants: unless both he and the murderer, this must have disappeared: in fact, even if the window was open, being summer, the assailant could not have fallen, because on ivy that clings on the outside walls, you do not notice anything that might indicate that hypothesis. The murderer, if he’s not Simon, has “vanished into thin air”. But why Simon would kill the old woman? He had no reason to do it, the more he perceived a very high salary, not commensurate with his duties: if at first you suspect blackmail, then learns that Simon was very dear to the old woman who had raised him since he was little , saving him from the clutches of unnatural parents who beat us mercilessly even at an early age, and he had always countered with dedication and affection the care of his mistress. So Simon is ruled out, but then where is the murderer? And what Simon was doing in Paris? It’s clear, however, that he must know something he doesn’t intend say, that can be put in connection with the murder of the old woman. From examination of the body of the old woman, who is undoubtedly dead, we discover two very close wounds, signs of two stabs: the weapon is a sharp letter opener, found near the bedspread, with a handle inlaid, as to eliminate the possibility on it may be fingerprints. While waiting for the next day the cops arrive, Pierre will watch, alternating with Brunel, the corpse of the old woman, in her room. But, Pierre falls asleep; at some point, however, he wakes, sweating from the tension, because he realizes that in the darkness of the room, there is someone else that moves: he would like to do something but does not have weapons and then thinks about what to do, while the other is taking the cards, which he hears the rustle of. Suddenly, he remembers the electric bell that the old woman had wanted in her room, to call Simon: he presses several times it, and shortly after he hears someone knocking at the door. After his invitation to come in, the light switch is pressed, the light shines in the room: Simon is on the door. But besides him, Pierre, in the room there is only the corpse of the old: unless it is a vampire, this time too the mysterious visitor has vanished. Possible that is there a secret passage? Impossible. All deny it there is. So? How did the visitor to vanish? Brunel is doubtful, but Pierre insists. He also heard a rustle and a characteristic noise, like something that had been opened. Brunel has an epiphany: the secretaire. Open it, and there, from a drawer, see out a card: it is a holograph testament replacing another precedent: in it Georges Durbans is appointed sole heir. At this point, if you ever brought a growing possibility that he was the murderer (the rest he was in the garden, was the only one of the group, were not together at Brunel and Pierre) now he becomes more real, although Georges seems anything but a murderess. The strange thing is that the old woman had before prepared another testament that appointed Alex her heir: why that testament, then? Brunel curses for not having examined immediately after the discovery of the corpse, the secretaire, because now is the double possibility: it is a testament true or false? Why did the visitor open the bureau? The testament, penned with calligraphy seems shaky, as if the hand that had thrown down was not entirely sure: the old or the murderer who has imitated the handwriting? Not even the handwriting expert appointed the next day to make a judgment, will lean much: the testament would seem to be from old woman, but then he is not entirely sure. While you can not get away from a spider hole by the woman’s death, and Brunel concerns that something else could happen, here’s a second murder, to disturb the atmosphere: Alex is killed, he also stabbed in the heart with a letter opener, very similar to the first. Pierre sees a shadow that falls from the window, he throws himself on him, but that man avoids him, instead of killing him too: why did he risk being taken, if he killed a man before, and now he did not want to attack Pierre instead? Brunel investigates and discovers that shadow was someone who had met with Alex, who was the first husband of Monique, a gentleman. If he was not he killer of Alex, who did kill him? Simon, Monique, Gustave, Brigitte, or Georges? Since it wasn’t possible that the force required to launch the stab was from a woman, suspects are three men: Gustave, Simon or Georges? Moreover, Alex, before being found dead, he had closed twice the door and about this Pierre was sure, because he had distinctly heard the two shots: but then, after the discovery of the corpse of Alex, they found the door house no longer closed: it means that there is an accomplice as well as a murderer, who apparently does not know that the murderer escaped from the window, because obviously the plan assumed that he had to escape through the same exit, so surely will have to go back down to close the door and prevent you might think about him as an accomplice, unless he is not Simon, who as butler, also has the task of asking and open the door in the morning. They will agree to watch over the door so as to catch the accomplice or not, in which case it would be true the other hypothesis. No one will come down. Brunel, after a sleepless night, will be able to name the killer and to solve the riddle, discovering how the robe of the woman had not two but a single cut, which is not properly screened in the reconstruction of the crime. And he will be able also to fulfill from the charge of complicity in the murder of Alex, Simon. Novel highly enjoyable, it is based on an Impossible Murder and on a Locked Room, which a thief was able to evaporate from. At the base of the riddle is the result of reasoning by Brunel: “the facts are presented as well: the murderer comes to his enemies … without knowing exactly what he will do, and these terribly afraid that visit, but without power to predict how it will play . One does not have weapons to kill, others do not have weapons to defend themselves”. In fact, twice the murderer has used something that was in the house, and then, it was not premeditated he killed, otherwise he would have brought a weapon. Yet he must have an accomplice, to premeditate to go into the home.Why? Boileau, as at other times, he climbs on the mirrors: he demonstrates an unmatched virtuosity (equaled only by Vindry and Lanteaume), in proposing a problem and its solution, when he has few ingredients, which, moreover, is a bit the typicality of French novels of the period: insist on the mystery, propose one or more problems, attractive enough, without however enlarge the rose of suspicion, because not from the juxtaposition of alibis and motives must exit the solution, but from the proposition of the problem in itself, because in essence it is based on the plot and its variations . In addition two other differences with the Anglo-Saxon novel occur: first there isn’t a real introduction, in which matures the crime, that is a typical feature of British detective novel instead (but not the US); and then, as a result, the French detective novel, and particularly that by Boileau, bases its plot on something that is done randomly, without that the reader has already seen or knows or at least images why a particular crime is consumed: it is a novel, we might say, police-type-adventurous, heir of the atmosphere from feuelliton, a dramatized feuelliton, by Leroux and Leblanc; second difference, I would say, is inherent in the fact that, while the British detective story, just to be different from that of the appendix, where if there was a crime, you had to look for the woman and the butler, tends to present among suspected all the characters with the possible exclusion of the domestics (and this essentially for a social classism, almost racist, presenting the domestics a step lower than the nobility or the upper class, the only one that could consume a perfect crime, which for intelligence can not belong to a lower social order), in the French detective novel, as a consequence of the fact that domestic, bosses, police, investigating judges, all as part of their duties are citizens of the republic, even the servants are to be suspected like the masters. This broadens the rose of the suspects, that, as we reported earlier, it is always quite small. This of course would lead to a job easier for detectives, and then there is the need to turn and re- turn over the tangle, not only to lengthen the stock (in fact the French novels of the time are not as long as those English) but also not to attenuate the narrative tension which otherwise would weaken naturally. In the case of this novel, the specific character and insist on the topics that we have just pointed out, reveal a very subtle reasoning, a true virtuosity of the deduction and of the sophistry, I would say by Byzantine kind: able to turn the problem, giving of each problem two or more possible solutions, from which we have many different solutions, which mainly concern here from: the will, true or false (it could be that the murderer had created a fake to create a perfect culprit, ie Georges; orit is false because posted by Georges, or is true, and then it was inserted long before by the old Fontaille); the thief invisible: how did he disappear; the problem of the lock of the front door and two turns, and about a possible accomplice; the problem of the existence of two wounds and that the robe presents a single cut; how did disappear the murderer; why Alex did try to defend himself with a piece of wood taken from the fireplace (this was found clutched in his hand); why there is not an accomplice; what the murderer or the thief took from the secretaire. Doing so, Boileau manages to keep the tension very high, and if so far the reader has had a few suspicions and then essentially was taken to concentrate his attention on very few, because two, Alex and Monique are kept out from their own investigations because they played, together to Brunel and Pierre, bridge (a game that often appears in the novels of the time, by De Angelis to Agatha Christie, Dorothy Sayers to Stanislas-André Steeman), precisely during the solution, in which the suspence should cathartically fall, in this by Boileau, instead, it increases spasmodically because in a totally unexpected final, happens everything and its opposite. And everything is explained, as a murderer and a thief, different people, can vanish in an enclosed area without being detected, and as a murder in which there can not be an accomplice, he lacks; and finally as Simon, although not murderer, let alone the killer’s accomplice in the murder of Alex, he is in a sense an accomplice of another murderer, that of the old woman, although he can not in any way be involved in the murder of her. Boileau really he is, because, and this is the biggest surprise, far from creating a novel based exclusively on clues, just in solution reveals a mechanism very cerebral, with a very pronounced psychological aspect, which concerns the way of shuffling the cards and turn the reader’s attention, creating the conditions because, on the basis of acts very obvious, he is led to believe one thing instead of think of another. To give a measure of the mechanism of the highest stylistic virtuosity, I emphasize two particular moments which for me are the measure of true creativity and power of reasoning by Boileau: the closing the front door, and the volatilization of the thief after Simon knocked three times on the door of the room where is the corpse by Mrs. Apolline, watched over by Pierre. It is the mechanism of sound illusion, explained in a famous story by Clayton Rawson, From Another World, about which I wrote an article that I have not yet translated into English, in which I wrote that for the first time I had read about a sound illusion, and this had left me speechless. I was wrong. I thought that this was the first time that had been used such an illusion, and instead already three years before a French had used it: Pierre Boileau. This novel reveals a pattern common with another novel, Six Crimes Sans Assassin, for the way in which the murderer leaves the scene. In this, and we also noticed in the case of La Promenade de minuit and Six Crimes Sans Assassin, Pierre Boileau tends to reuse in later novels, gimmicks and escamotages that he has already used his other previous. Questo articolo è stato pubblicato in Uncategorized il ottobre 29, 2015 da 282daniele. The Wrong Problem, at the production of short stories by John Dickson Carr, is one of his peaks: it was written in 1936. From it Carr drew the subject for a radio play,”The Devil in the Summer House”, which aired in wartime, to the BBC, 14 October 1940, in an episode of an hour; after, the radio drama was reduced to half an hour, and presented at the radio series “Suspense”, but deprivated a character of Gideon Fell. The place of the story is a summer house, at which takes place an impossible crime. Both versions were later published as part of a collection of short stories by Carr, introduced by Ellery Queen: Dr.Fell, detective, and other stories (Mercury, New York, 1947). In addition to these two of his works, they were also: The proverbial murder, The locked room, The hangman will not wait, A guest in the house, Will you walk into my parlor ?, Strictly diplomatic. Gideon Fell and the Chief Inspector of C.I.D. Hadley are walking, when they get near a lake which overlooks a villa, and in which, on a tiny island, there is a pergola of bamboo. Nearby is a little man dressed in black, his eyes slightly almond-shaped and a long white hair and a white cloth hat. The little man, as soon as he sees them, asks if they see a swan on the water, a dead swan with its throat cut; but the two don’t see it. It’s the beginning of a story whom that man tells to two occasional guests, chanced in the properties whose owners are not present for a long time: the tragedy of a family formed by father Harvey Lessing, eye doctor and dentist, and his four children, of which three born from the first wife (died in 1899) and another acquired, already seventeen, with his second marriage in 1901, a family in which death was already facing twice before, with the death of two wives of the head of the family, yet. The elder half-brother was called Brownrigg and was dentist, as the father had the physique of an athlete, always smiling and fond of nuts; the second brother’s name was Harvey Junior: he was dynamic, sociable, sympathetic; the third son’s name was Joseph, and he worked as a technician in optics in a large jewelry; finally, the fourth was a girl named Martha. Joseph and Martha were the same age and feelings in common, even though she was in love with such a Sommers of which Joseph was confidant, who was finishing his military service. The fact is that after all that family was happy. But on August 15 of a certain summer, something happened that changed the atmosphere and harmony of the children: while the old Lessing, using a canoe, after lunch he went to make the nap under the pergola on the small island, someone killed him, violating the space of water without anyone seeing him, despite the surface of the water had remained flat, without anything or anyone plowed the waters: in the ear pointed a stuck object that pierced the inner membrane of the ear , piercing the brain and determining death. The only two to suspicion were Joseph and brother Junior, while Brownrigg he claimed had been alone in the dining room and Martha had gone with a friend. Also the gardener swore that no one had pluwed the waters of the lake direct to islet. Junior knew steering a boat, and Joseph knew how to swim, but it seems that none of them could have been. The fact is that strangely was blamed one between the two, who exculpated and not to be accused by others, blackmailed them with the only weapon with which he could keep them under control: their mother had died mad, so … Besides that came to know this, the family would fall into disrepute and the career of the dentist would be cut short. The days passed tired, in a sort of non-aggression, in an apparent calm until occurred the second impossible murder: Martha, was in his room, apathetic, straight out of an illness, when, at the same time the arrival of the lawyer’s family suddenly she went up in the tower that overlooked the house, such as being chased by someone or something invisible and locked herself in there: it was a square room, with no furniture, used to see in the distance, given its highest position of other windows in the house whose only openings were the barred window and the door. The maid runs after her, but remained outside. As soon as she entered the room, they heard a cry and creepy, entered the room, they found the girl dead, with an eye pierced by something that was not found that had reached the brain: a death similar but not the same as another. No murderer in the room, no chance for he to pass through the door, because it was guarded outside by the maid. One of the three brothers was formally accused about the double murder and to save himself and to force the brothers to swear falsely, that the killer’s mother was crazy and not theirs: so he avoided the hanging. After this telling, the little man, one of the brothers Lessing vows not know who has been to make the double murder. So? Analyzing the clues, Fell will discover the truth and will give a name to the murderer. He is …. The title of the story does not refer to a wrong deduction, but to a question that it is justified only in the sick mind of the killer: why is it possible that a mother crazy procreates healthy children and a healthy mother procreates a crazy son? That is why did he committ the double murder? Fell will explain the genius of the solutions adopted so that the crimes happen apparently by the hands of an unknown person and in seemingly impossible conditions. But also why was swan killed cutting its throat? In fact after the death of Martha, both Junior and Joseph while they are walking on the shore of the lake, in the back of the islet, they note among some rushes ashore a swan with its throat cut by something sharp, as if someone or something wanted to kill even the swan. The story, which is one of the most famous by Carr, in the case of the second murder is derived from another previous story, Terror’s Dark Tower, that is of 1935. It is memorable by the atmosphere that pervades it, and it is affected, as other works of the same period, by a certain underlying melancholy, which approaches to other works such for example to She Died a Lady. We note also the hint at a certain inevitability of evil (which is not noticed in other carrian works), to the underlying causes of evil and for which even those who commit it can steal his fate: as if to say that also the ‘ murderer is the puppet in a game that is much bigger than him. The fact that the little man swears, first, he’s not the murderer and then he reiterates this statement, when Gideon Fell already has accused him about it and also explained how he killed without others could see him commit the murders, and then soon after he admits to be the murderer, also demonstrates a duplicitous soul and mind, a split personality in two entities completely opposite, one innocent and one culprit, one conscious and the other unconscious, by the way of Mr. Hyde. What he says in the last page of short stort is symptomatic of this state of alienated mind: “You do not understand. I never wanted to know who killed Dr. Lessing or poor Martha”. The speaker is the unconscious part of the murderer, who does not know (but supposes) if other his half killed or not. Then, a few lines later, the same character, his conscious part, will say: “..But that is not the point. That is not the problem. Their mother was mad, but they were harmless. I killed Dr. Lessing. I killed Martha. Yes I am quite sane. Why did I do it, all those years ago? Why? Is there no rational pattern in the scheme of things and no answer to the bedeviled of the earth? “. In other words one character but split into two characters, a personality split in two, one conscious and one unconscious. Basically what you get is the dubt also the reader has if the murderer, when he committed the murders, was conscious or unconscious. Surely, however, the fact that he sees constantly even after, on the surface of the lake, the dead swan with its throat cut, which does not exist in reality, reveals a schizophrenic state, hallucinations, dissociation from reality; but also it reveals that in that man, with deep and blacks eyes, there is still consciousness that goes in that disturbed soul, the remorse that evil that is (was) inside him, it has let him to kill harmless people : the swan, symbol of purity and safety, for him is a haunting memory, in a strongly symbolic work as this, because refers Martha, in the disturbed mind by the killer, always dressed in white. In my opinion, there’s also another indication that Carr puts in the story, a psychological clue: the little man is dressed in black buthe wears a white hat. In my opinion this is another indication of the psychological duplicity of the wearer: good and evil, consciousness and unconsciousness. In some ways it is the work that most approaches Carr to his most famous heir, contemporary with us, Paul Halter, in whose novels the theme of madness often overlooks. The story is still memorable for the atmosphere that pervades it, for the unsurpassed mastery, to be able to create a pathos with a few strokes. Before Carr describes the idyllic places, or almost: the villa in a small valley between the hills, the artificial lake overlooked, the summer house on a small artificial island in the middle of the lake, the rustling of leaves, the well trated green carpets. Then it introduces a note that is more sad, like a harmonic modulation in minor that portends something sad that you are gathering, “the last light showed that all the windows of the house..”: the dusk, during which the sun dies, and it gets the dark. In that moment “dusk had almost become darkness when two men came down over the crest of hill. One was large and lean. The other, who wore a shovel hat, was large and immensely stout, and he loomed even more vast against the sky line by reason of the great dark cloak billowing out behind him”. First they see a small man. Then he speaks about a dead swan that does not exist. Then he tells a story, and while he is talking, the sunset gives way to darkness: three men are sitting in an iron bench, and two feel the other to tell a story of murders and madness. And as the dark story winds until its end, the light of sunset is replaced by darkness, and the epilogue takes place almost in the darkness, illuminated by the light of a match: as attested by the end of the story, in which it was reported that “the match curled to a red ember, winked and went out”. The final is unforgettable, because it ends not with a bang but with an implosion, which gives a strong melancholy emphasis to history: “Then….got up from the chair. The last they saw of him was his white hat bobbing and flickering across the lawn under the blowing tree” . Yet, it had been announced with another emphasis: “This murder was incredible. I don’t mean merely that it was incredible with regard to its physical circumstances, but also that there was Martha dead-on a holiday”. Questo articolo è stato pubblicato in Uncategorized il ottobre 20, 2015 da 282daniele.